The common core requires a lot of evidence based writing. 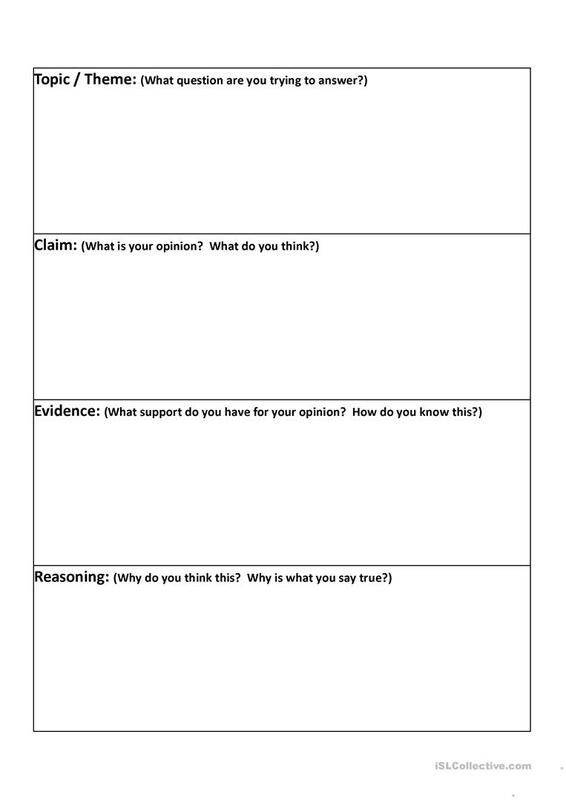 My students were struggling to write effectively using the CER (claim, evidence, reasoning) format so I made this quick graphic organizer. 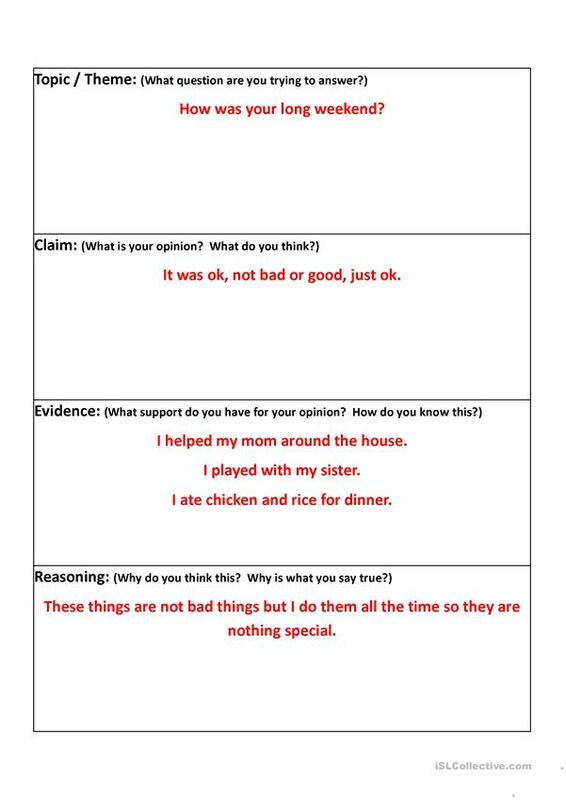 It helps them get their thoughts down into the correct categories before having to form full paragraphs. 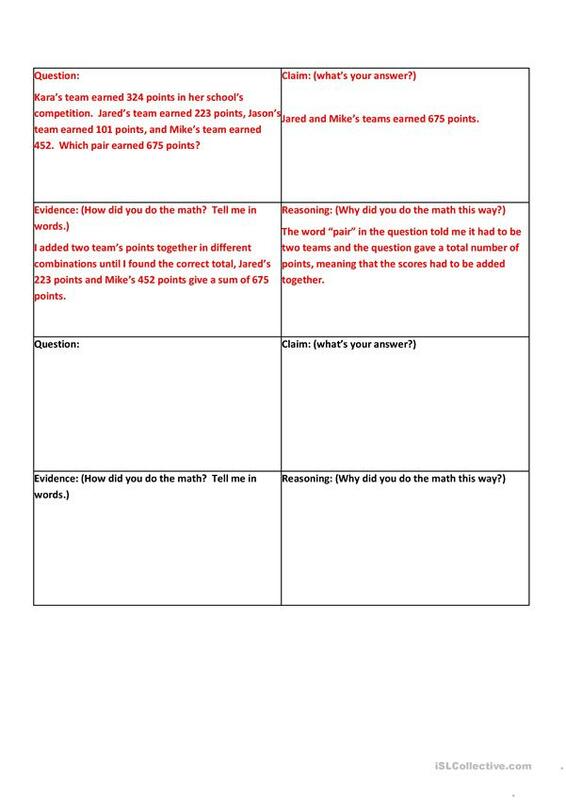 There is a second organizer for use with math word problems. This forces students to practice explaining their math using words and academic vocabulary. This downloadable printable is meant for high school students and adults at Intermediate (B1), Upper-intermediate (B2), Advanced (C1) and Proficient (C2) level. 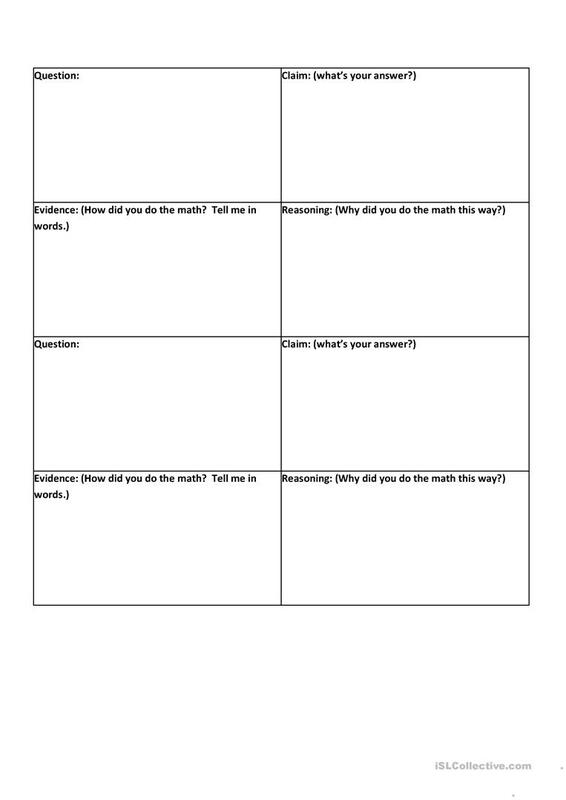 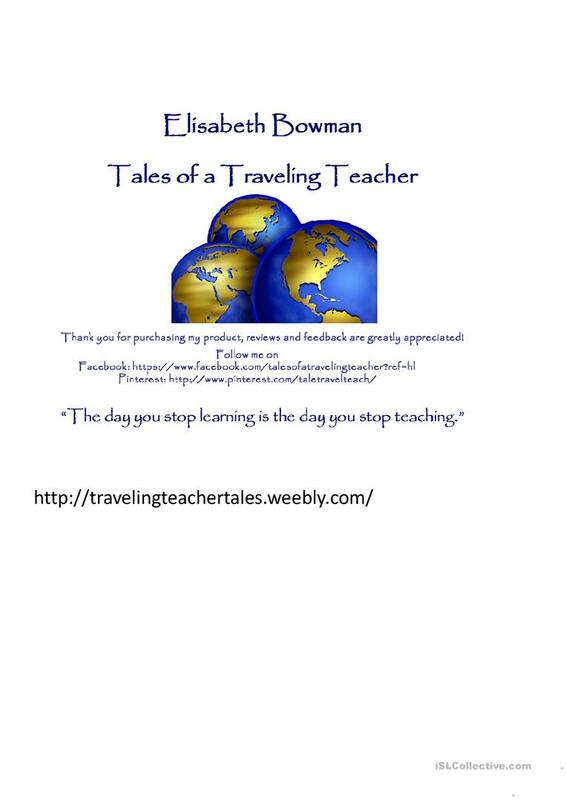 It can be used for improving your learners' Writing skills.